A U.N. 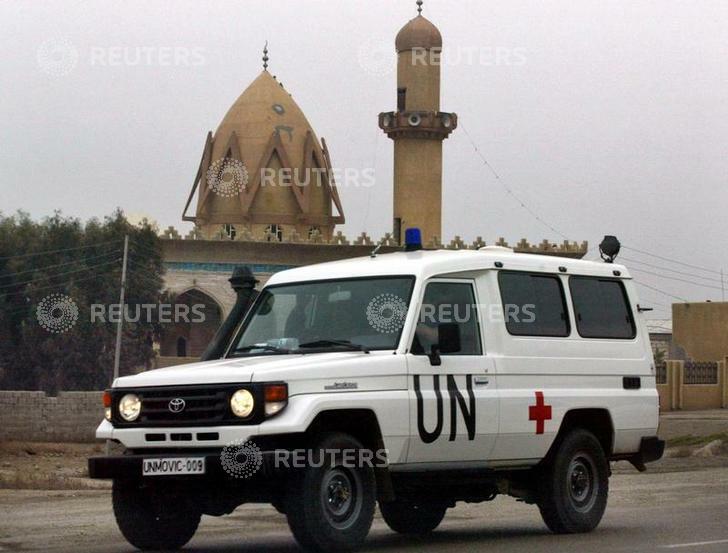 Monitoring, Verification and Inspection Commission (UNMOVIC) car passes a Mosque in Falluga city, as U.N. arms inspectors head to a military site in Falluga, 100km north of Baghdad, December 31, 2002. The site is used to train officers in chemical warfare. U.N. arms experts pounced on at least seven suspect sites in and around Baghdad on Tuesday, brushing aside criticism they were acting like gangsters.